A Spring Hill teen that was left paralyzed after a golf cart accident in April is speaking out to others about the potential dangers of the vehicles. The 17-year-old girl says she was test driving a golf cart with her boyfriend in his neighborhood when the throttle got stuck. The golf cart crashed and ejected the girl, injuring her spine and leaving her paralyzed from the waist down. The teen now uses a wheelchair, but she is determined to walk again. She is taking strides to speak out to others so that they realize that golf carts can be just as dangerous as cars. Along with her boyfriend’s mother, the teen hopes to reach out to others and let them know to think twice before getting in a golf cart. Medical bills are quite high for the family – they have already surpassed a million dollars. According to Technology Associates, a company on the leading edge of research in golf cart safety, there are roughly 150,000 accidents per year that end with emergency room visits. These numbers are attributed to the open-air design and relatively poor braking capabilities. 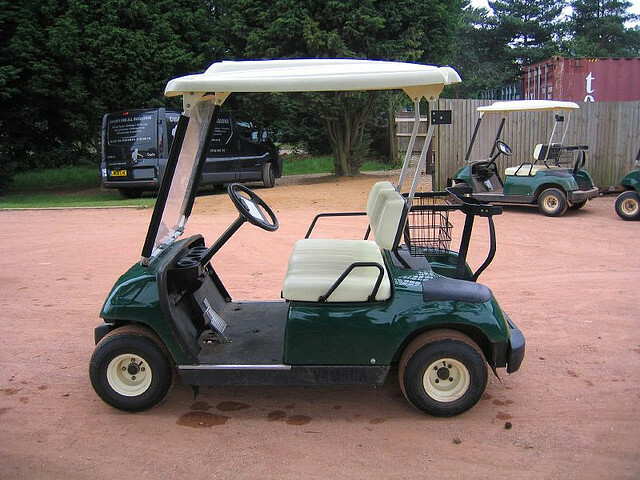 Today’s golf carts can reach speeds of 25 mph and travel 40 miles with a single charge to their battery. According to the Consumer Product Safety Commission, 40 percent of those 150,000 accidents each year involve children. The majority of these accidents involving children occur when the child is ejected from or falls out of the golf cart. As a result of the handrail actually acting as a fulcrum in many accidents, children often land on their heads and can suffer significant brain injuries. As this case shows, injury victims can suffer devastating injuries, including paralysis. If you or a loved one has been injured in a golf cart accident, please contact a Hernando County Golf Cart Accident Attorney at Whittel & Melton online or call us at 352-666-2121 for a free, no-obligation consultation. We handle all golf cart accident cases on a contingency basis, meaning we do not get paid unless we recover money for you.